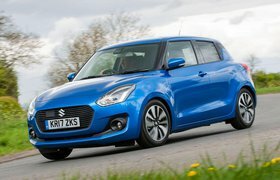 New Suzuki Swift vs Hyundai i20 | What Car? They’re small cars by name, but both the i20 and Swift are among the best of their breed for interior space. A pair of 6ft-tall adults will find plenty of room for their legs and heads in the front of either car, while both cars’ driver’s seats and steering wheels offer a generous amount of adjustment. That neither car gets adjustable lumbar support isn’t too surprising but is nevertheless a disappointment. The rear seats of cars in this class aren’t often called into service, but the i20 and Swift both offer enough space to accommodate two more adults without their knees brushing the front seatbacks nor their heads the roof. The i20 has slightly more knee room and the Swift marginally more head room, and although neither car will seat three adults comfortably in the back, they still provide a good amount of head and leg room. The i20 leads the charge on boot space, with a considerably larger capacity, a broader opening and, unlike the Swift, the ability to adjust the height of the boot floor. That comes in handy when splitting both cars’ rear seats (60/40) and folding them forwards to enlarge the boot; the i20’s extended boot floor remains flat, while the Swift’s has a large step in it. When it comes to material quality and infotainment, the i20 stands out. Its interior plastics aren’t as classy as the rival Volkswagen Polo’s, but they are soft, dense and screwed together well enough to impress. The Swift’s interior plastics, trims and dashboard switches simply don’t cut the mustard in this company. 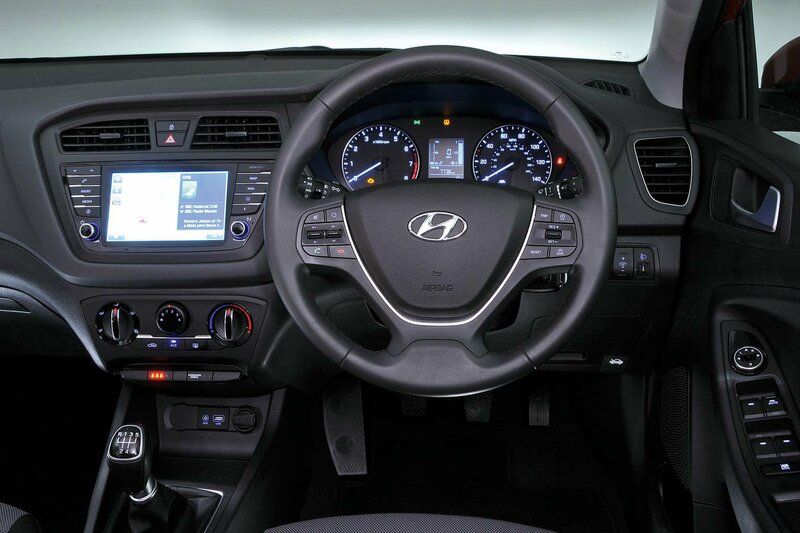 Turbo Edition i20s come with a 7.0in colour touchscreen infotainment system as standard. It responds quickly to presses and has bright, crisp graphics and a logical menu system. 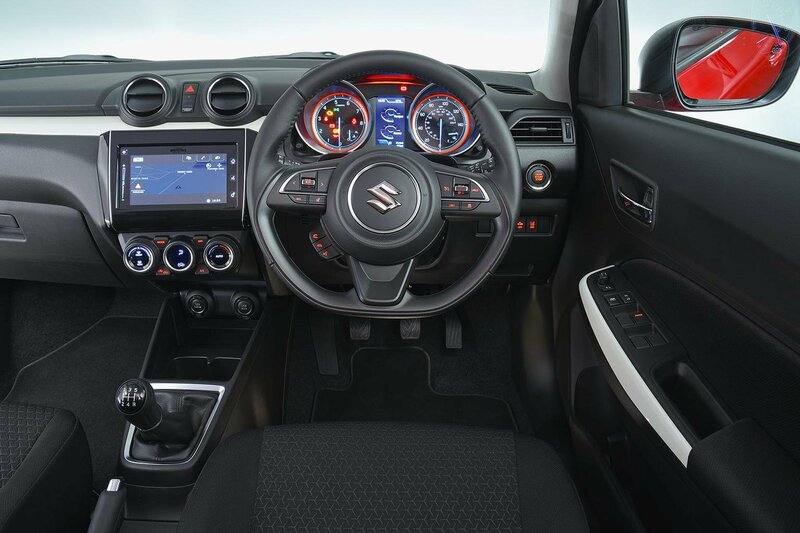 The Swift also has a 7.0in touchscreen, but while it’s almost as easy to get your head around, the graphics are relatively low-resolution and some of the icons are too small to hit accurately while you’re driving. The Swift’s infotainment does at least feature Apple CarPlay and Android Auto smartphone mirroring, which makes the system look and operate more intuitively. In this day and age, it’s a shame that these features aren’t included on the i20, even optionally.